Originally just released for the Treo 650 smartphone, MobiTV is now compatible with the Palm TX and Treo 600. 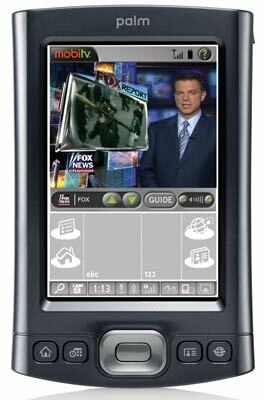 The Palm TX version features 12 channels, including ESPN, Fox News, C-SPAN and the Weather channel. The version for Treos supports over 20 channels. The program is sold on a subscription basis for $9.99 per month. There is now a demo version that is limited to one channel of commercials.